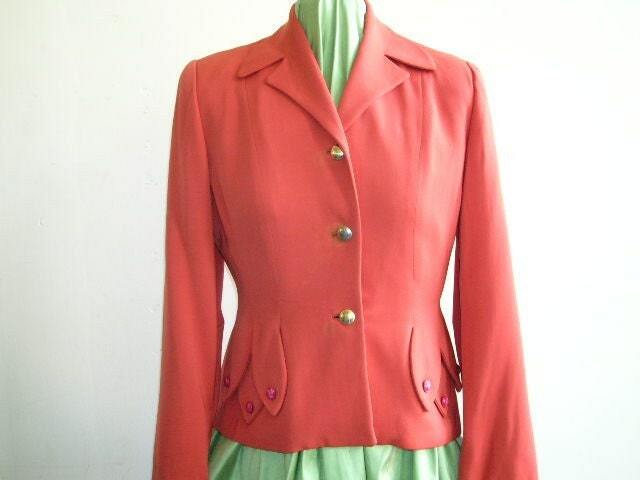 1940's Coral Gabardine tapered waist blazer. 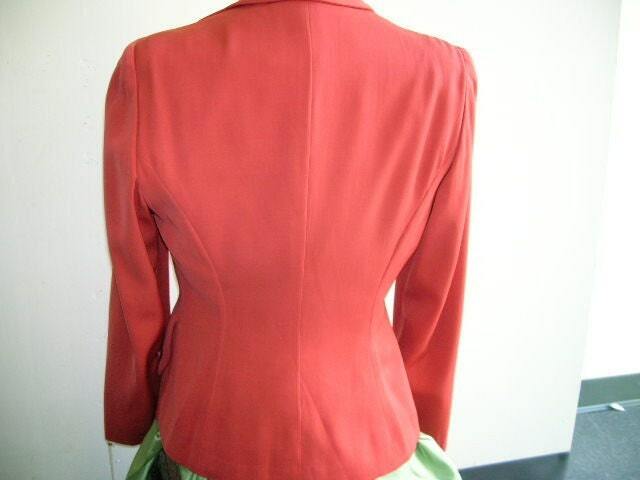 Pointed open necked collar, with straight lapels to the waist. 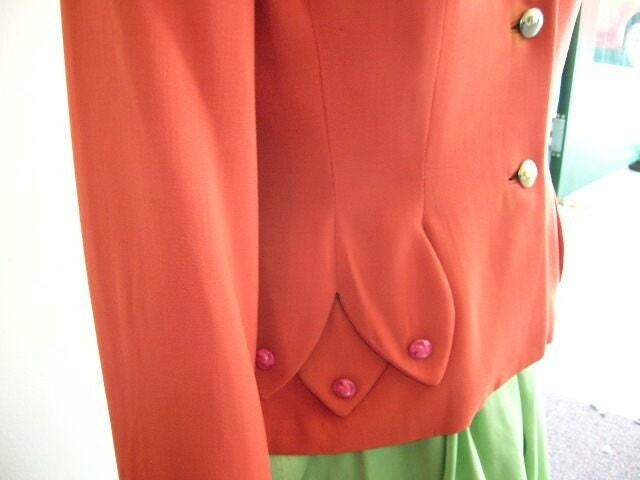 Jacket is fastened by three round gold colored buttons. Faux pockets at each hip- made of pointed flaps, with a coral button at each point, to form the shape of a flower. Shoulders have modified padding, and selves are straight from the shoulder, with no cuffs. Condition: Fair. Front buttons are not original. The three metal gold toned buttons are the replacements. Light stain on left shoulder, yellow stain middle button hole, yellow stain interior top button, yellow fade small circle on back lining of jacket. Price reflects the imperfections as a whole this is a fab jacket! Length of selves from shoulder to cuff- 22"